VA Home Loans | Tracy Bell | Priority Home Lending, LLC. The VA Home Loan Program was started in 1944 as a part of the GI Bill of Rights following World War II. It was created to reward those currently serving in the military and veterans that have served. As part of the GI Bill, the government created a special government-insured mortgage program to minimize down payments, lower closing costs, and help those currently serving and veterans achieve the dream of home ownership. One of the primary benefits of a VA mortgage is that in most cases a down payment isn't required. It is one of the only home loan programs in the country without a required down payment or private mortgage insurance. VA allows veterans to pay up to 1% of their loan amount toward VA non-allowable fees. VA interest rates and Annual Percentage Rates (APR's) tend to be lower when compared to other home loan mortgage programs. Individual interest rates for VA loans are still dependent on your personal situation. Some factors that can affect VA interest rates include your credit scores, how much your down payment is, the value of the home, etc. For eligible veterans and their families, the VA home loan is a truly great financing option and one to explore with an experienced mortgage professional. Who qualifies for VA home loan eligibility? What are my VA Home Loan Benefits? What can I expect? The VA offers very user friendly home lending guidelines and allows VA mortgage lenders to utilize a manual underwrite when needed. One can expect to have to provide 2 years tax returns with W2's, 30 days most recent pay stubs and current bank statements. Where do I check my VA benefits? 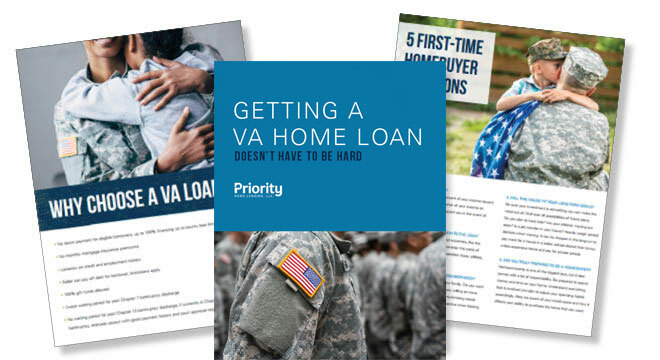 A VA approved home loan lender can usually access the benefits or one can contact the VA Eligibility Center at 1-877-827-3702 to request their Certificate of Eligibility. Can I use my VA Benefits more than once? YES!!!! This is one of the biggest misconceptions that still exist. Your VA Certificate of Eligibility dictates the available benefit. What types of VA Home Loans are available? A regular VA Loan consists of financing up to 100% with a loan balance limit of $424,100. There is no monthly mortgage insurance nor private mortgage insurance on VA Loans. You may need to put more down to qualify and be approved for your specific monthly payment. Contact our team right away, we are an experienced and qualified VA Mortgage Lender in Washington and Oregon, and can assist with each step of the process. Check your VA Benefits Eligibility yourself or we can assist you with that too. Gather your necessary documentation like 2 years tax returns with W2's, 30 days most recent pay stubs and current bank statements.